You will be picked up at the hotel and depart for Tsavo East by 0400hrs. We will drive along the main Mombasa - Nairobi highway. We will have a short break around 0900hrs thereafter we will enter to Amboseli National Park around 1200. We will have a game drive en route to the lodge for lunch and check in. After lunch, you can relax in the lodge until 1600hrs when we will go for our evening game drive searching for the animals until 1800hrs when we return to the lodge for dinner and over night. After breakfast, you will head out for your morning game drive at 0700hrs searching Mt. Kilimanjaro's royal court for its various species of animals and birdlife. You will return to the lodge by 1130hrs for lunch. After lunch you can relax in the lodge until 1600hrs when you will go for your evening game drive. You will return to the lodge by 1800hrs for dinner and overnight. After breakfast, we check out of the lodge by 0700hrs and head towards Taita Hills Sanctuary. We are expected at SAROVA TAITA HILLS LODGE for lunch. After lunch you can relax in the lodge (if you decide to stay here) or we head to the lodge inside the sanctuary which is called SAROVA SALT LICK LODGE. Thereafter at 1630hrs after our evening tea we head out for our evening game drive in this beautiful sanctuary searching for the wild life and birdlife. Thereafter at 1830hrs returning to the lodge for dinner and overnight. We arise early and go for an early morning game drive after a cup of coffee at 0630hrs we will search for animals and birdlife against the backdrop of the beautiful African sunrise. Thereafter at 0830hrs, we will return to the lodge for a full breakfast. 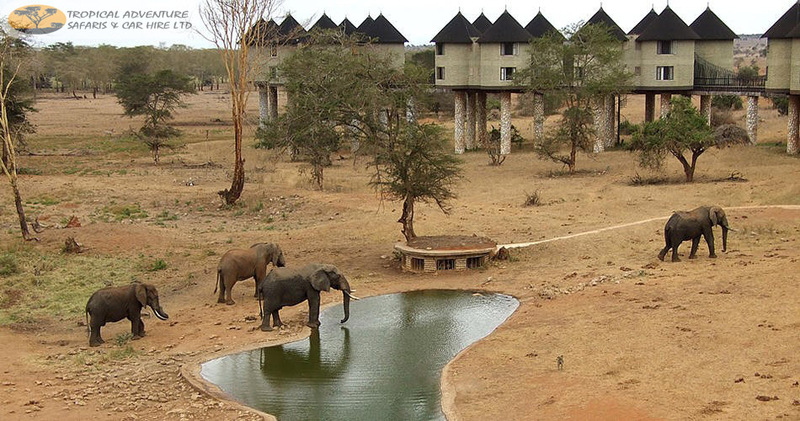 At 1000hrs we will check out and head toward Tsavo East National Park also known as the home of the "Red Elephants". We are expected at the lodge in time for lunch and check in. After lunch, you can relax in the lodge until 1600hrs when we will head out for evening game drive searching on of the biggest game park in Kenya for its wild animals taking in breath taking scenery as well. At 1800hr we will head back to the lodge for dinner and over night. We arise early and head into the Tsavo East for an early morning game drive at 0615hrs after a cup of coffee. Thereafter we see what the morning has to offer us in terms of wildlife. We will return to the lodge at 0800hrs for a full breakfast. 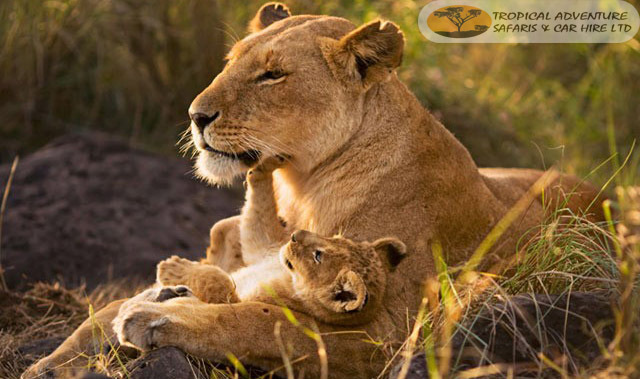 Thereafter we will check out and head towards the land of 'lava and lions" also known as Tsavo West national park. We are expected to enter the park by 1100hrs and head to our lodge for lunch and check in having a short game drive en route. After lunch you can relax in the lodge until 1530hrs when you head out for your evening game drive visiting the Rhino Sanctuary located within the park if time permits or the famous Mzima Springs which is a fresh water source for the whole of Mombasa. Thereafter returning to your lodge by 1830hrs for dinner and overnight. After breakfast, you will head out for your morning game drive at 0700hrs searching more animalas ine the Park. Thereafter we will head back to coast .We are expected in Diani around 1600hrs. Any International Flight, Laundry and Visa. NOTE: We recommend you take Flying Doctor’s membership for medical evacuation by air to Nairobi, Kenya in the event of an accident or serious illness. This can be arranged for you at a charge of US$40 per person for 14days coverage or US$60 per person for 2 months coverage, please note this does not cover any medical bills and we recommend that you obtain your own medical coverage. In addition we recommend you take out adequate insurance cover for yourself and your personal effects from your originating country. We assume you have all necessary insurance cover when booking with us.